In this episode of “Surviving to Thriving: Overcoming My Darkest Moment” I talk with Guy Finley, bestselling author of more than 45 books and founder of Life of Learning Foundation, a nonprofit Center for Spiritual Discovery. Guy wasn’t raised in an environment that encouraged his precocious existential questions like “Why are we here?” He grew up in a show business family where wealth and success confused him because the adults around him seemed so afraid and angry. At age 17 Guy received a football scholarship to USC. It was an extraordinary achievement for a junior, but he lost that scholarship when a tackle left one of his legs paralyzed from the knee down. Guy sunk deep into his own pain, wondering who we was without a football scholarship. It wasn’t until a friend pointed out that all he did was talk about himself that Guy realized how egocentric he had become. That conversation was a turning point, leading him on a journey to explore our dysfunctional and denying nature. He believes pain is not to be avoided, and that something rich can come out of it—even paralysis, which we wouldn’t trade for all the money in the world. 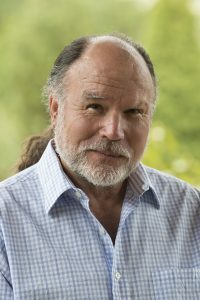 Today Guy gives talks at his Life of Learning Foundation, is a faculty member at the Omega Institute and has just released his newest book, “Relationship Magic: Waking Up Together.” Learn more about Guy at GuyFinley.org. If you enjoy my podcasts, please leave a review so I can be found by others who are interested in this kind of personal development work!